It is very helpful to put a bit of flesh on the bones of our ideas by using Sketch Templates. 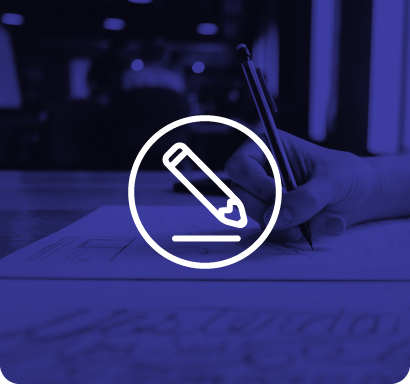 Getting visual early on in the process helps to describe and define an idea so it can be developed further, or evaluated in order to be discarded in favour of others. "A good sketch is better than a long speech." 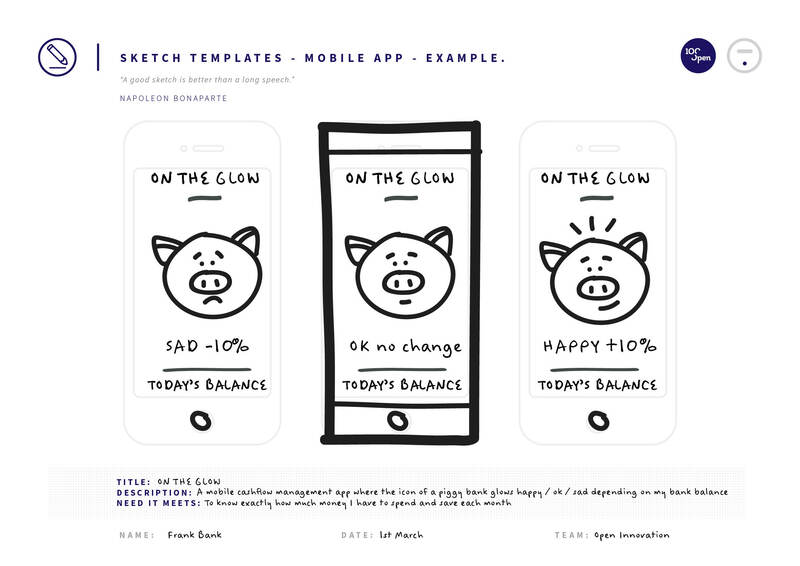 The Sketch Templates don’t need any artistic skill to get the point across. Later on we may want to involve a Designer to help us describe an idea or mock up a web page but these tools are a great start. Use these tools singly or download the whole book so workshop delegates can select the most appropriate way of visualising their ideas. We take a look through the different templates and select the ones that match our idea best. If none do, use the blank tool provided to create your own bespoke template. Use Sketch Templates in any Jam workshop in conjunction with Idea Frame in order to bring ideas and concepts to life. See also Prototyping Techniques for alternative ways to develop ideas beyond a verbal description.